16 year-old Maya Penn is a CEO, activist, author, illustrator, animator, coder, and so much more. She started her first company at eight years old, has TEDtalked to millions of people across the globe (as the youngest female in history to deliver two back-to back official TED Talks–her 2013 TEDWomen Talk is ranked as one of top 15 TEDWomen talks of all time), and is now sharing her inspirational message with young people around the world with her recent release: YOU GOT THIS!. I’m thrilled to welcome this dynamic young woman to The Brown Bookshelf. I’m a eco-designer, artist, philanthropist, activist, entrepreneur, animated filmmaker, coder, illustrator, writer and author. I’m the author of 3 books, 2 fictional children’s books that I wrote, illustrated, and self published, and 1 nonfiction book which is my latest book called “You Got This! Unleash Your Awesomeness, Find Your Path, and Change Your World”. It is published by Simon & Schuster. I’ve given three TEDTalks and, my latest TEDWomen Talk has gone viral worldwide and with almost 2 million views and growing. It was because of this TEDTalk that I decided to write You Got This!, as I began to receive a multitude of emails and messages from people of all ages who have been inspired to follow their passion because of my TEDTalk and want to know the best place to start. Maya Angelou, my grandfather (he is also a children’s book author), and bell hooks (I read her book Happy to Be Nappy when I was little and it really reinforced my belief in being proud of who I am, and embracing my natural hair). Writing tends to be very spontaneous for me. When writing my latest book “You Got This!” I approached it like a journal (no really, I kept a journal). I wrote it over the course of about a year, and since the general theme was my journey as a young CEO, artist, activist, etc. and how others can put their passion into action, I just took a topic or two each day pertaining to that theme and wrote about it. Whether it be a story I lived through and what I took away from it, or just a brain-dump on the topic, I wrote it down. I just kind of let it happen. In terms of a choice location, when it comes to any form of exercising my creativity (writing, animating, designing), I love being outside. Nature always creates a kind of sanctuary for my ideas to flourish. Of course this doesn’t always permit so my second choice is my studio. It has been incredible to see the huge impact my book has made in such a short amount of time. I’m so happy and blessed to have received such a flood of emails and messages from teens and people of all ages who have been inspired by my book. There have been a multitude of libraries, schools, workshops, conferences (such as the ALA/American Library Association Conference where I was a keynote speaker in 2016) etc. that have invited me to speak about my book. It’s been so exciting to also see organizations such as Donors Choose have been providing copies of my book to schools. 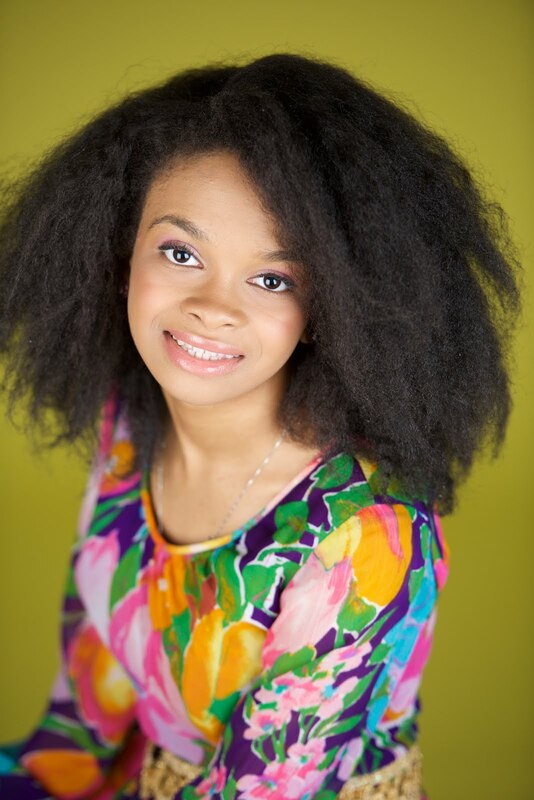 Taylor Moxey is an incredible 10 year old entrepreneur, activist and author of color! Her book The Adventures of Taylor The Chef is inspiring and encouraging for all youth. More and more young people have a chance to use their voice to make a positive impact on the world and fight for the causes they’re passionate about. This is why it’s so important for us not to take this chance for granted as more platforms are available to create awareness and be the change you want to see in the world, online and offline. This current generation of young people will be the future leaders in our world and we have to make sure our world and society will be in good hands. As for my next projects, I will launch a bigger animation and film studio in Atlanta called Penn Point Studios and the first project I will be releasing is an animated series called The Pollinators. I will also continue my project with my nonprofit organization Maya’s Ideas 4 The Planet where I designed and have now created eco-friendly sanitary pads for women and girls in developing countries in need. They’re being shipped out to girls and women all over the world and our most recent shipment was sent to women at the St. Joseph Health Care Center of Baback in Senegal. Now this year I’m launching an initiative through my nonprofit to provide seed grants to young female entrepreneurs that aspire to start their own businesses. I am also putting into action a girl’s empowerment event and a STEM/STEAM workshop for girls where my book You Got This! will be used during the workshop to guide and inspire the girls. It’s been so exciting to also see organizations such as Donors Choose have been providing copies of my book to schools. For more about Maya and her work, visit her online, and check out her 2013 TED Talk. Donors Choose sharing copies of her book is a real coup! I’d not yet found her latest book, but it’s definitely something to buy for the tweens in my world. With this much focus and drive at fifteen, I expect Maya Penn to run the world someday. How inspiring! 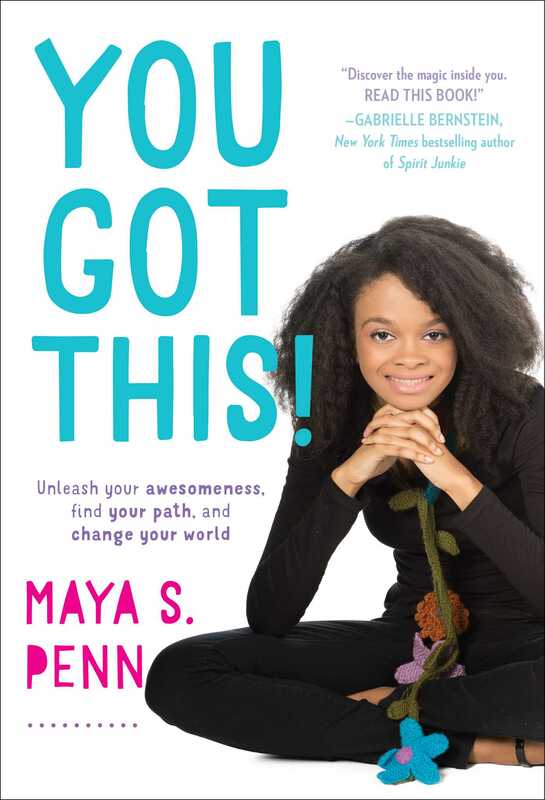 So impressed that Maya Penn has accomplished so much already and she’s still 16. Can’t wait to see what her future holds. Wow, we need more young women like her. She is an example of initiative and energy in motion toward a greater goal.